Factors such as the environment surrounding the breaker, the degree of usage and the required function all play important roles in determining how often breakers should be tested. The mining industry in particular creates a perfect storm where all of these factors come together placing more extreme demands on breakers, ultimately increasing their risk of failure. This article examines the unique circumstances of breakers within the mining industry and details best practices for testing and maintenance to help keep your mine safe and operating at peak performance. It goes without saying that mines are not clean environments — but what is the impact on equipment? The constant presence of dirt and debris in a mining operation has a major impact on breakers, both in functionality and longevity. Many of the materials found in mines are conductive and abrasive, leading to a significant increase in wear. This build up can also cause the breakers to malfunction, ultimately resulting in an unexpected shut down of operations until the breaker can be repaired or replaced. Some operations rely heavily on breakers for their power needs, putting increased strain on the breakers. Knowing the costs associated with unplanned failures or malfunctions, shifting to a model of more frequent breaker testing can help mitigate loss. A good approach is to consider planning the testing frequency in direct relation to the frequency of use. 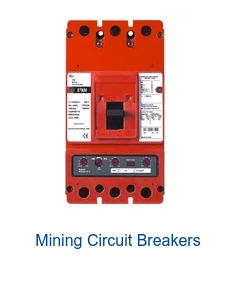 A breaker with higher use will inherently have a shorter lifespan and be at greater risk of malfunction or failure. Having a system of maintenance checkpoints will help you prepare for repairs or replacements in the future. Below is a list of issues to monitor when testing. Each system should be scored with a good, satisfactory, or marginal rating in each of the following system issues to determine when it is time to refurbish or replace the breaker. You can then prioritize risks based on life/safety code compliance, litigation exposure, facility-operation vulnerability/occurrence likelihood, and life expectancy need. This will help reduce the company’s downtime and control costs for unexpected repairs. One of the largest concerns when it comes to breaker maintenance is the overall cost of replacing them. It can be difficult — and at times risky — to determine when to fully replace a breaker and when refurbishing is a viable option. This depends both on the company and their circumstances and on the breaker itself. 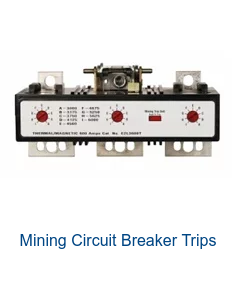 The benefits to replacing breakers include having a brand new breaker that is ready to use, there will be minimal downtime associated with replacing, and you will be equipped with the newest technologies increasing safety throughout the site. Refurbishing will offset some of the costs of replacing the breaker, it will expose other flaws in the breaker giving you an opportunity to fix those at the same time, and it will improve the lifespan of the breaker by making it as close to new as a manufacturer can. However, both depend on the age of the breakers. There are instances when a breaker cannot be replaced with a new unit. Refurbishing becomes the only option unless you are willing to replace the whole system which can become costly. Although, having an updated system increases safety in the field and carries its own set of advantages. At times, you may be forced to upgrade your system because what you have been using is now obsolete and can no longer be refurbished. When deciding to replace or refurbish you also need to consider the amount of downtime that is acceptable for your company. Refurbishing a breaker takes longer than replacing. You need to have someone come to find the root cause, order parts, and replace them. Frequent maintenance can reduce this downtime, but typically the needed parts are not on hand increasing the length of time operations are shut down. The best way to minimize downtime and keep the company’s operations running at full capacity is to replace the breaker. Your company will have to make the call on how long it can handle being without proper gear when deciding whether to replace or refurbish. To help reduce downtime, minimize costs, and keep operations running at full speed, it is best to test breakers regularly. 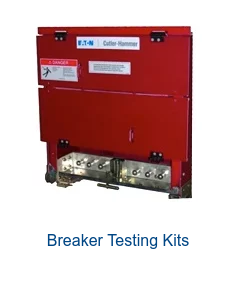 It is recommended that breakers be tested at least twice a year in the mining industry. Depending on company needs, testing requirements may need to be increased to insure the best outcomes. Performing regular maintenance on the breakers will help prevent failures and extend the lifespan of the breakers. This will also ensure that breakers are keeping up with NFPA 70 requirements. When it comes time to replace breakers, choose breakers that integrate well with your current systems. The new technologies have capabilities that will help reduce arc flash hazards and increase safety throughout the mines. The opinions expressed in this piece are solely Eaton's. They do not necessarily represent WESCO’s views. Eaton provides solutions that manage electrical, hydraulic and mechanical power more efficiently, safely and sustainably. 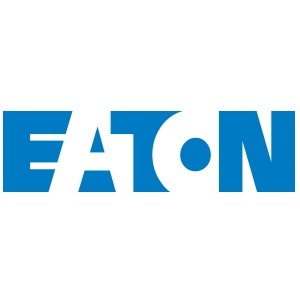 With 95,000 employees and sales across more than 175 countries, Eaton is dedicated to improving the quality of life and the environment through power management technologies.